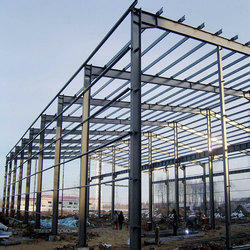 We are a leading Manufacturer of prefabricated metal structure from Mumbai, India. With their lightweight, commendable durability, dimensional accuracy and impeccable resistance to corrosion, the offered Prefabricated Metal Structure are known to be amongst the best options available. The offered product is manufactured as per the industry set norms, utilizing the finest raw materials and modern machines.